A recent General Social Survey found for the first time ever, the majority of Americans favor legalization of marijuana. Where legalization support stood at just 16 percent in 1990, it shot to 52 percent in 2015. But unlike a growing number of other states that recognize, at minimum, the medicinal properties of marijuana, Florida outlaws possession of this substance in any amount and for any reason. 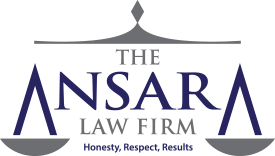 At The Ansara Law Firm, our marijuana possession defense attorneys in Fort Lauderdale know repercussions for crossing the legal line can be severe. For as long as Florida criminalizes marijuana possession while other states relax their laws or even legalize it, we may see a growing number of arrests. People won’t see it as a serious offenses, but the laws and criminal penalties here have been largely unchanged, save for a few South Florida cities and counties that have passed measures or have pending ordinances to reduce penalties from criminal charges to civil infractions. Bear in mind though, even in these instances, state law trumps. That means defendants in these areas can still be arrested and face criminal charges. The difference is the police officer has discretion about whether to arrest or issue a citation. Most people arrested for marijuana possession in Florida are shocked to learn that what they considered a relatively minor offense can have potentially very serious consequences to their freedom, their finances and their future. For example, even a misdemeanor charge can carry a sentence of up to a year in jail, and probation usually comes standard with invasive, random drug tests, treatment programs and harsh penalties for any minor violation of these terms. Having a knowledgeable criminal defense lawyer can make a big difference in the outcome of a case. F.S. 893.13(6) defines possession of a substance as a situation where accused has control, ownership or management of the drug. Defendant needn’t necessarily have the drug on his or her person in order for a possession charge to stick. “Constructive possession” may be asserted when the drugs are in another location or nearby, but prosecutors still have to prove defendant knowledge of the substance and control over it in its location. More than one person may be found responsible for possession of the same substance if “Joint possession” is asserted. The severity of the crime of marijuana possession leans heavily on how much of the drug is discovered and in what context. Note that in some of these cases, there is a minimum mandatory term, meaning if you are convicted of possessing a certain amount of marijuana – regardless of your intention -- the judge will have no discretion regarding your minimum term of incarceration. Prosecutors may seek to argue for increased jail or prison terms if the incident in any way involved a firearm or if there is evidence of intent to sell or defendant has a prior criminal record. Probation terms also accompany many of these penalties, with requirements to adhere to all conditions of probation, which often include random drug testing and participation in some form of treatment or counseling. Also understand that if convicted of a marijuana possession charge in Florida – even a misdemeanor – you will face automatic revocation of your driver’s license for two years. This is a separate process through the Florida Department of Motor Vehicles over which judge and prosecutor have little control in the event of adjudication. Individuals in this situation can apply for a restricted license or even an unrestricted licenses, per F.S. 322.05, but they have to wait at least six months after a conviction to do so. That’s why it’s best to avoid a conviction on this charge if at all possible. We can help. Contact the experienced Fort Lauderdale criminal defense lawyers at The Ansara Law Firm, by calling (954) 761-4011 or toll-free at (877)-ARREST-0 (277-3780).